For home-style comfort and contemporary amenities within easy reach of Pueblo, Colorados key businesses and attractions, stay at the newly renovated pet-friendly Baymont Inn and Suites Pueblo hotel. Located off Interstate 25 and just two miles from Colorado State University Pueblo, this lodging facility is also close to Trane Company, Convergys, Rocky Mountain Steel and Parkview Medical Center, and there are several restaurants within walking distance. Rosemount Museum, Lake Pueblo State Park and the Colorado State Fair Grounds are also nearby. 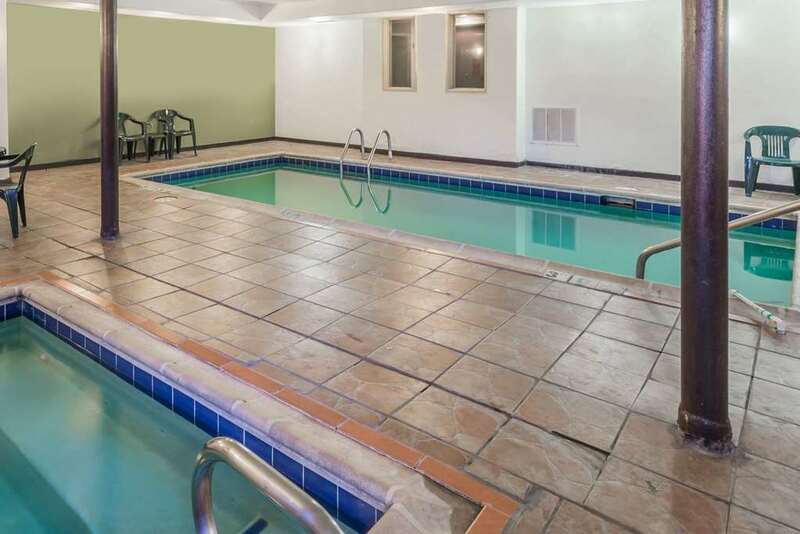 This eco-friendly lodging facility offers an indoor pool, fitness room, laundry facilities and ample complimentary large-vehicle parking as well as complimentary breakfast each morning. Each guestroom comes equipped with microwave, mini refrigerator and coffee maker, as well as complimentary wireless Internet access.